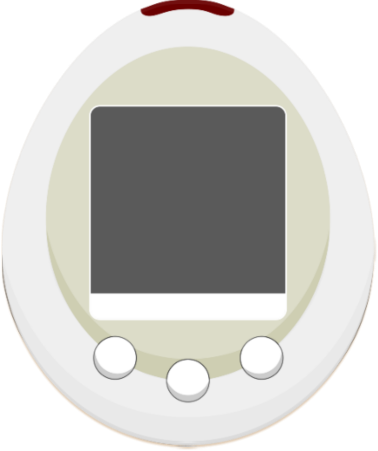 The Tamagotchi Color was released on 22nd November 2008 as a Japanese exclusive. 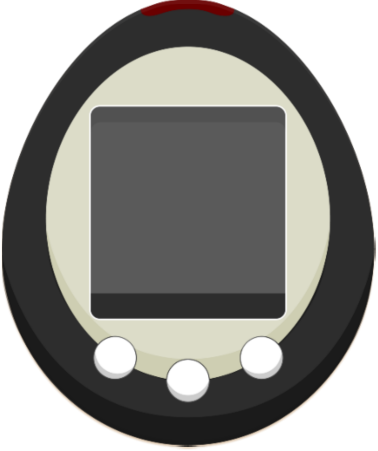 It was the first Tamagotchi to have a coloured LCD screen. 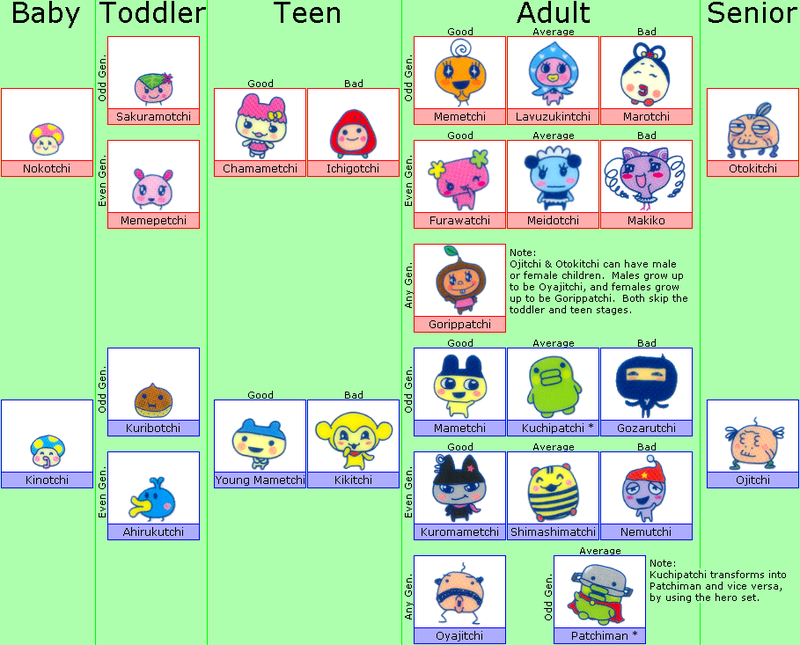 The Tamagotchi Color was only released in Japan and in Japanese language. The Tamagotchi Color has a larger shell compared to the previous Tamagotchi releases. Eleven different designs were released - White, Black, Pink, Magenta, Green, Blue, and Orange. The second wave of designs were released March 20, 2009, and include Yellow, Navy, Green + White, and Cream + Pink. This was the first Tamagotchi to include a weather system. At different times of the year, the weather will change when you go outside into your garden ect. If the weather get's too bad you will be forced to stay in your house until it clear's up. This features has become a regular feature on all Coloured screened tamagotchi's. 1. Rainbow Watering Can = By using the rainbow watering can, on a day when the sky is filled with puffy clouds you can extend the happy bar. To obtain the watering can, you must win a lottery ticket which you can get from purchasing items from TamaDepa. 7. Hapihapi = Eat a candy heart from the hapihapi tree (you can get hapihapi seeds by going to the connection icon (the 5th icon at the top) and then press the second option. Then enter the code: 84328 41937 and you will receive a hapihapi seed. Plant the seed and wait for it to grow. After it grows you will get a heart shaped fruit. Eat the fruit and you will receive a visit from Hapihapichi).